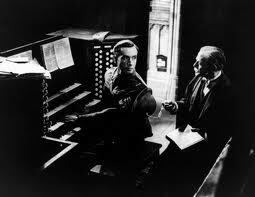 The early works of Powell and Pressburger are tainted by their links with the Ministry of Information. Regardless of their merits at the time, 49th Parallel and One of Our Aircraft Is Missing are little more than well-made propaganda, designed to pull the Americans into the war. It was only as the tide turned and the need for such propaganda abated that the duo began to embark upon their truly great works. A Canterbury Tale is a 'hangover point' in the duo's history: it contains remnants of their propaganda era in both its characters and its intentions, but it also represents something of a departure. 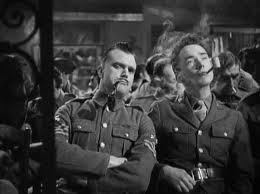 There is a great deal more affection at work, both in Pressburger's screenplay which celebrates all that is English and Powell's direction which has moments of pure inspiration. While not their best work by quite some distance, there is much about A Canterbury Tale that is both enjoyable and admirable. Like most of Powell and Pressburger's work, A Canterbury Tale takes place in a universe where fantasy and reality are constantly intertwined. Its mise-en-scene, to use a pretentious term, is an interesting blend of English realism in the manner of David Lean and the German expressionism of Metropolis and The Cabinet of Dr. Caligari. There are no dazzling transitions from one to the other like in The Red Shoes, but the film will often catch you unawares as it dips in and out of its expressionist elements. These are most noticeable in the scenes around Chillingbourne station, with their prominent shadows and exaggerated characters like the village idiot (more on him later). 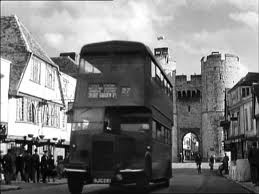 But centrally, A Canterbury Tale is a film about the various links between past and present, and how it is important, if not vital, that these links should be maintained. There is a recurring line of "before the war came", as if our characters somehow feel that everything that went before is irrelevant. Ms. Smith certainly has no desire to return to the London shop from where she started. But as the film wears on we begin to recognise the value of the past, both in the internal development of the characters and in the external actions surrounding the Glue Man's crimes. The film retells Chaucer's classic tale fairly loosely, with our travellers to Canterbury as modern pilgrims and Mr. Colpeper as the village squire, whose influence extends far beyond his official office. Much is made of the village's heritage and its place in history, being situated on the 'pilgrim's road' which goes straight to Canterbury Cathedral. There is a brilliant shot at the beginning where a mediaeval traveller releases a hawk into the air: it flattens its wings, before we cut to a shot of an aeroplane swooping down, and the traveller is replaced with a soldier. This is a magical moment, showing how the world has changed while situating this change in a landscape which still familiar. It is also a clear influence on the animations in Pink Floyd - The Wall, in which a dove is torn open to eventually form a bomber. The mystery elements of A Canterbury Tale sit very oddly. It's the kind of story that Alfred Hitchcock would have loathed, partly because of his distaste for whodunits, but because there is little or no means to cultivate suspense. And even as whodunits go, the Glue Man's is story incredibly straightforward. We don't even need a scene at the beginning revealing who he is, because we eliminate the other characters so quickly. As an abstract thriller, then, A Canterbury Tale doesn't work. But the film manages to get away with it because of where it situates this story. The most interesting thing about the Glue Man is not his identity, or his choice of weapon (if glue can be called a weapon). It is instead the motive, his reasoning behind his actions which he explains to our heroes on the train. Colpeper is a character with a passion for the past, a passion so forthcoming that it mutates into a desperate desire to pass it on by any means possible. He explains that the reason he only attacked women was to stop them going out with soldiers - soldiers who could just as easily attend his lectures, and who upon leaving the town could pass the knowledge on. Colpeper despises frivolity, and when he is not lecturing he is either reading or working in his garden. 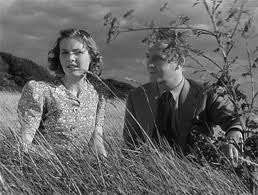 Eric Portman plays his scenes very well, retaining an air of graceful tranquillity even when it seems he is done for. Regardless of whether such action was morally justified, one can't deny that elements of Colpeper's crusade rub off, both on the characters and on the audience. Sergeant Johnson, played by real-life Sergeant John Sweet, begins the film deriding English customs; there are running jokes about his stripes "being the wrong way up" and the locals mistaking his quarters for shillings. But after venting his fury to the phone operator, he slowly begins to realise his place in Canterbury's heritage. Likewise, Ms. Smith eventually finds herself standing on the same hill as the pilgrims, and in a moment of magical realism, she can almost hear them right beside her. From a narrative point of view, however, A Canterbury Tale has its problems. After the scene in the railway carriage where Colpeper confesses, the film literally runs out of steam. At that point whatever mystery there was has been solved, and yet we still have to endure half an hour of sorting out all the loose ends. 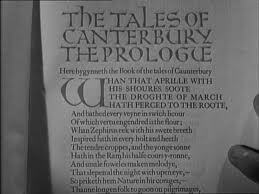 The Canterbury Tales in its original form was famously unfinished - maybe that was a sly joke on Chaucer's part, who knew deep down that things should not end on a whimper. All the scenes surrounding the pilgrims in Canterbury make sense in terms of their individual arcs - Smith hears from her old friend, Johnson gets his girlfriend's letters, and Gibbs finally gets to play a proper organ. But their execution is desperately contrived, so much so that it almost sours the whole film. Then there is the more general problem of quaintness. So many films which are tarred with this label are defended as a celebration of Englishness. But while A Canterbury Tale does celebrate England and all her victories (a hangover from the propaganda days), it does come across as irritatingly picture-postcard at points. The entirely fictional village of Chillingbourne is a caricature of the English idyll, complete with hay carts and helpful landlords. A little bit of quaintness goes an awfully long way, and it is hard to go the distance without either laughing or shaking one's head in dismay. 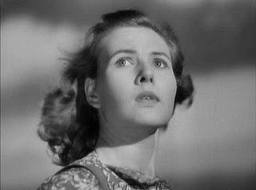 For all their brilliance, Powell and Pressburger's record with comedy is not first-rate. Some of their films have great comic moments, like the scene in The Red Shoes where the choreographer produces an enormous champagne bottle and struggles to pour it out. But here such moments are more of a lurch from one extreme to another. The scenes with the camp village idiot, who can only say "That's right! ", are funny in themselves but don't sit well with the surroundings. And that's not to mention the clunky romantic lines, like Johnson asking Ms. Smith what colour her hair is (it's black-and-white: we don't really care). 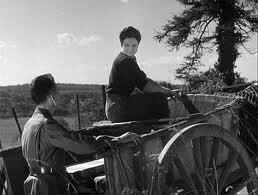 A Canterbury Tale is a partial success for Powell and Pressburger. It's hampered by its narrative shortcomings and its occasionally overbearing attitude towards the inherent oddness of England. But it redeems itself in the end through a number of beautiful scenes, coupled with fine performances (watch out for Charles Hawtrey as the tetchy station master). In the end it's a minor work, an improvement on their earlier wartime output and a good indicator of the brilliance to come. "49th Parallel" was partly sponsored by the government, but "One of Our Aircraft is Missing" wasn't. 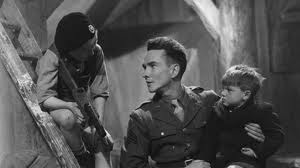 Powell & Pressburger did make propaganda films, but in their own way. Not at the behest of or under control of any government departments. Everyone wanted to do what they could to help win the war. "A Canterbury Tale" isn't a whodunit, it's a whydunit. Colpeper shows us quite early on in the film that he's the glue-man. One of the things the film does is to show why he did it. But it's not just a mystery that needs solving with the solution being the end of the story. There's much more to it than that. 1. Thank you for the information surrounding the funding of 'Aircraft. But even if the MoI did not directly fund it, the film is still propaganda in its intentions, and in its jingoistic execution. The Birth of a Nation may not have been funded by the Ku Klux Klan but it's still on one level a massive piece of propaganda in their favour. Is that fair comment? 2. I accept that the film is not a conventional whodunit, and it may be that I have been somewhat unfair in trying to crowbar the film around this term. However, even if the film is an interesting departure from convention, there has to be more to pull me in than simply a celebration of Englishness. It's fine, but not quite enough. 3. I agree again that there is more to it - I understand exactly why we get all the scenes after the train conversation. But the execution of this is much creakier than the rest of the film, and it's the execution not the reasoning behind it which makes them disappointing.